The length of the Red Sea coastline, belonging to Jordan is 28 kilometers only. Quarter from it can be considered more or less interesting for diving. Actually, the whole diving territory in Jordan is the coast, called South Beach. 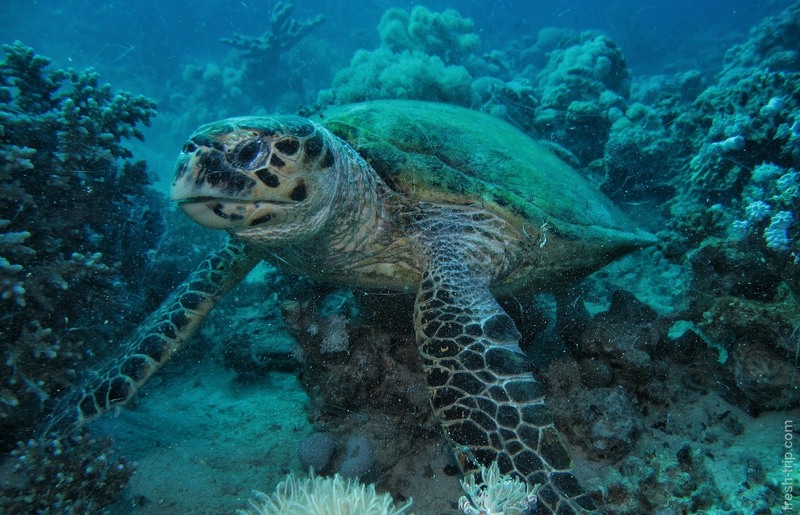 In the area between the southern coast of the port terminal and almost to the border with Saudi Arabia is located Aqaba Marine Park. Most dive centers are located exactly there. However, some of them have offices in the city of Aqaba. 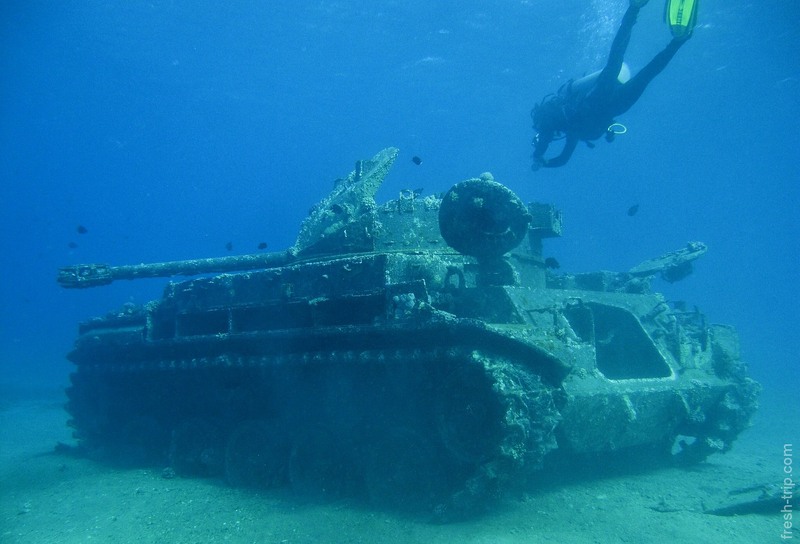 There are about 20 dive centers in Aqaba. 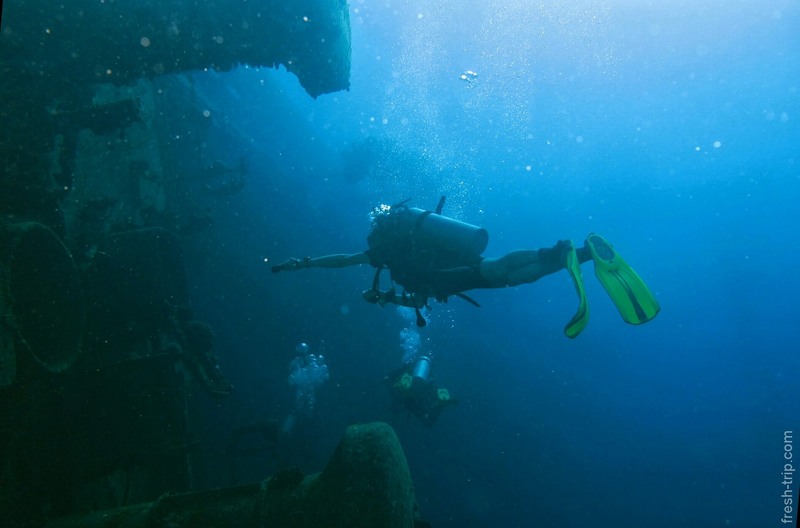 They offer 2 types of daily-diving: shore- and boat-diving. The first, of course, is cheaper. 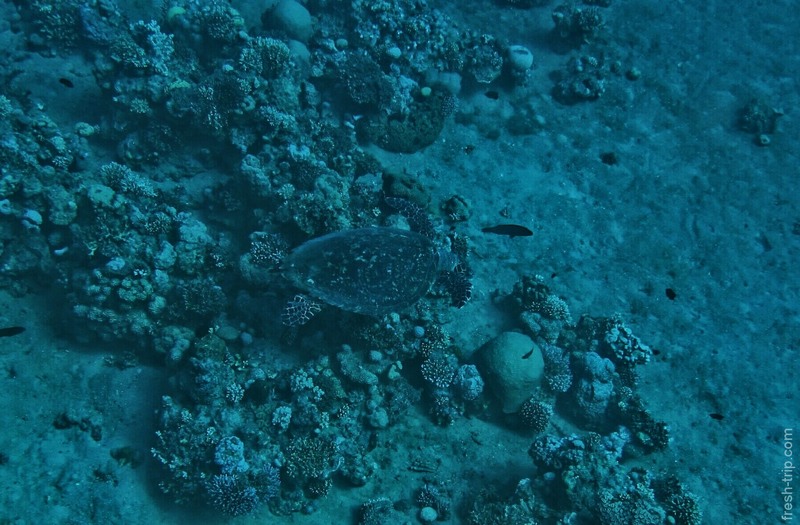 But in general, diving in Jordan is much more expensive than in neighboring Egypt and some countries in Southeast Asia. As mentioned earlier, we chose Darna Divers office, who offered the lowest shore diving rates in our e-mail exchange. 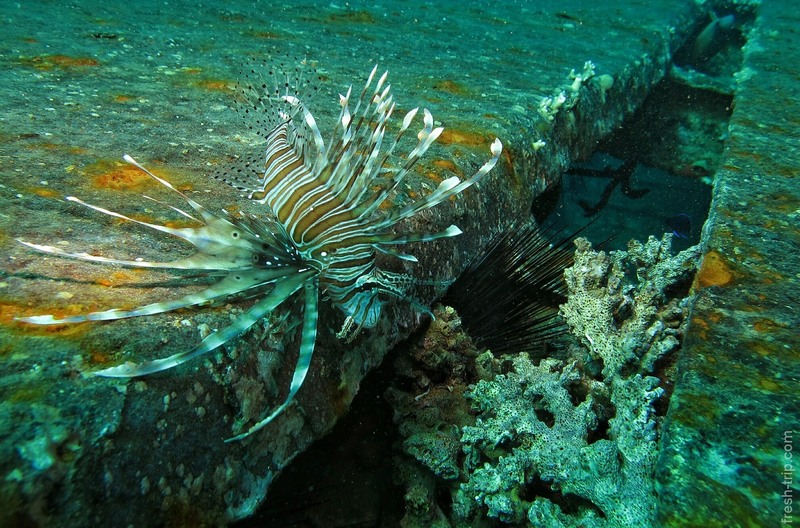 A few words about diving in Aqaba. 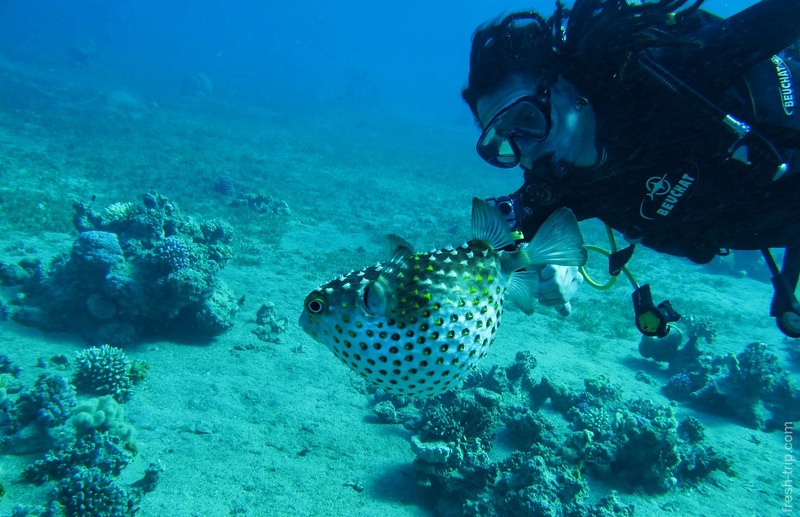 Frankly to say, if you had ever dived n Hurghada, Sharm or Dahab, then probably diving in Aqaba will surprise you only with it’s high prices. But, if you turned out in Jordan, for example to visit Wadi Rum, Petra and beach resorts, in this case diving a good way to diversify your vacation. And you can also enreach your collection of exotic stamps from different countries in your dive-logbook. From the living creatures you will see almost the same ones as in Egypt. All dives, by the way, are shallow and accessible from the shore. 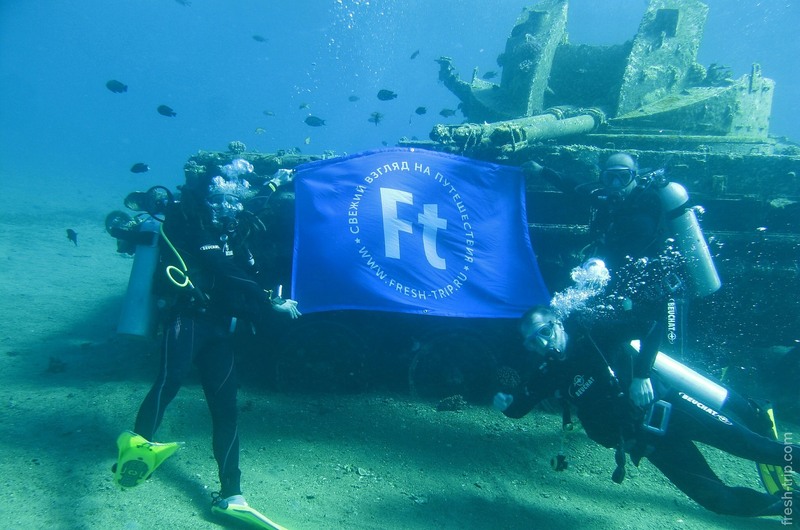 Boat dives are not a necessity, but the way to offer the client a higher level of comfort and service for extra money. Рядом с кораблём много всякой живности. Затонувший корабль спустя 30 лет. 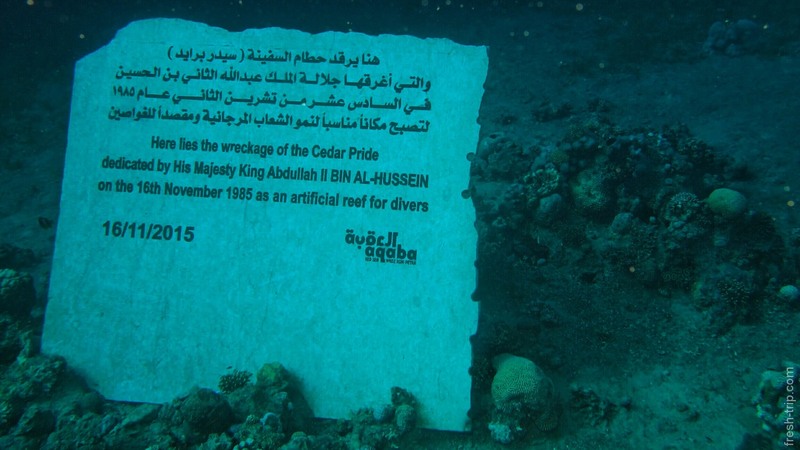 Man-made wreck Cedar Pride is definitely the main in attraction Diving Aqaba. 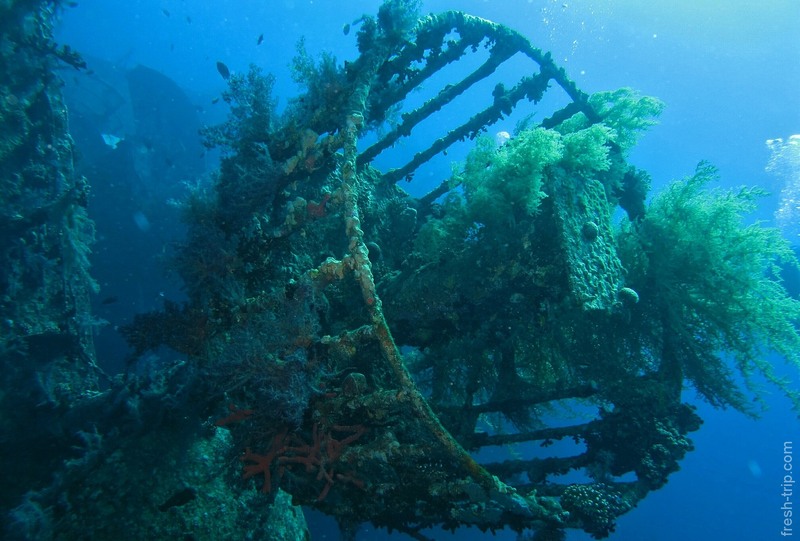 This wreck specially flooded for divers in 1985, turned out into a picturesque artificial reef 30 years later It grew bigger, and now is one of the most popular wrecks of the Red Sea. So if you have even one diving day, then one of your two dives will definitely be in this location. 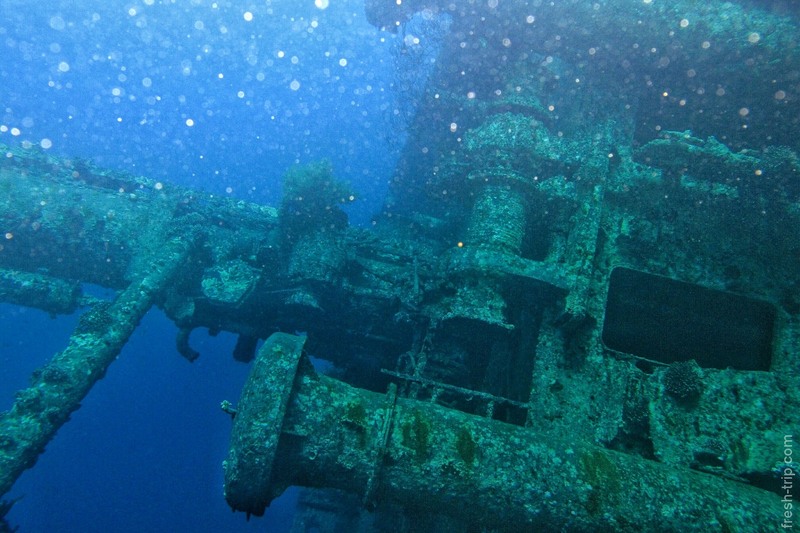 This wreck is shallow, it’s deepest point is 25 metres, and highest pole doesn’t reach the level of 7 meter below the sea. During your dive there will be a chance to see the livig creatures of the Red Sea, except the wreck itself: soft and hard corals and sponges, lionfishes and clownfishes, butterflyfishes and pufferfishes. Depends on your luck. All these creatures are present here on a decent level. Second dive was not far away, just near to Japanese Garden site (see the map of dive sites). Picturesque and rather shallow site, that’s why it’s quite popular for snorkeling. Танк на глубине 6 метров, так что даже снорклеру его увидеть не составит труда. The day before 2 dives were made with a small break on shore (not more than an hour). So this time we decided to make them differently. First dive should take place at New Canyon Tank. 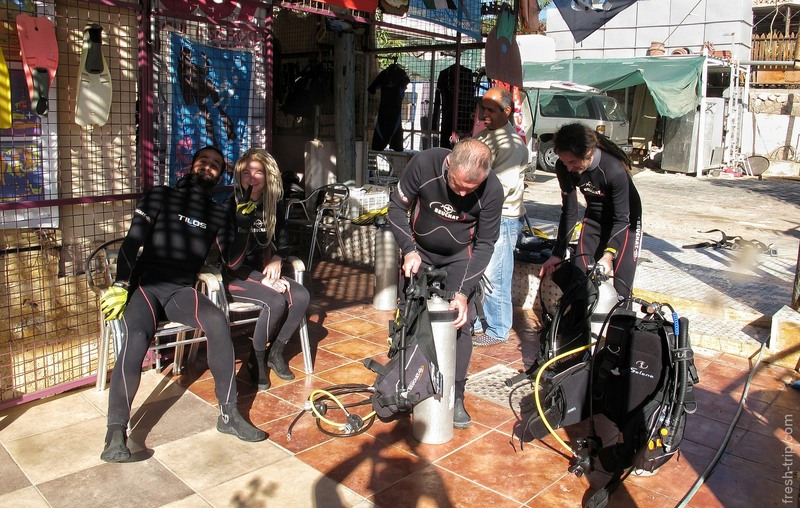 After that we’d return to the dive centre, warm up, have dinner and then we’d have a 2 hours rest – make the second dive. This break becomes quite useful, especially when your body, being in a wet costume, feels the strong wind, not the best feeling. 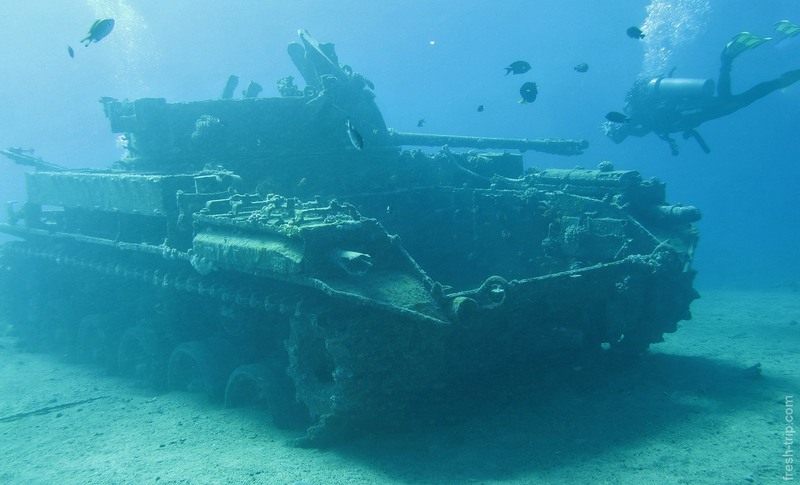 Tank – is another artificially flooded wreck. 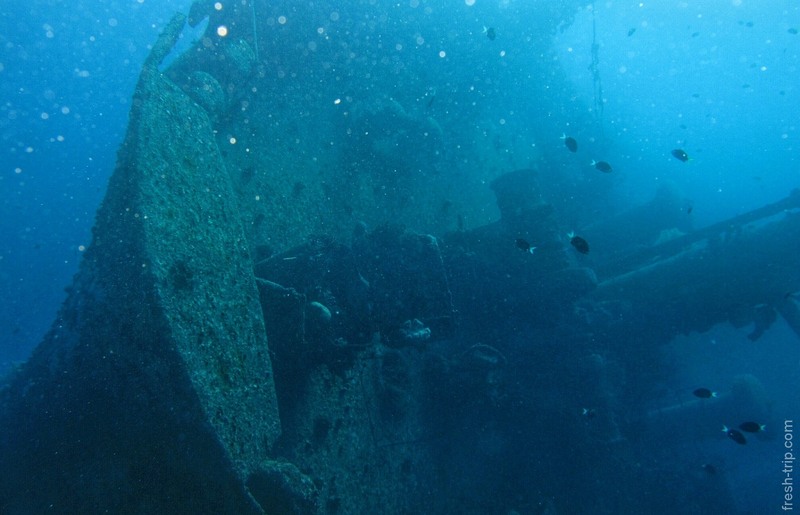 It’s a shallow wreck only 6 metres deep. And it’s flooded not so long ago, so that’s why not much. 20 years later, probably it will be more photogenic. 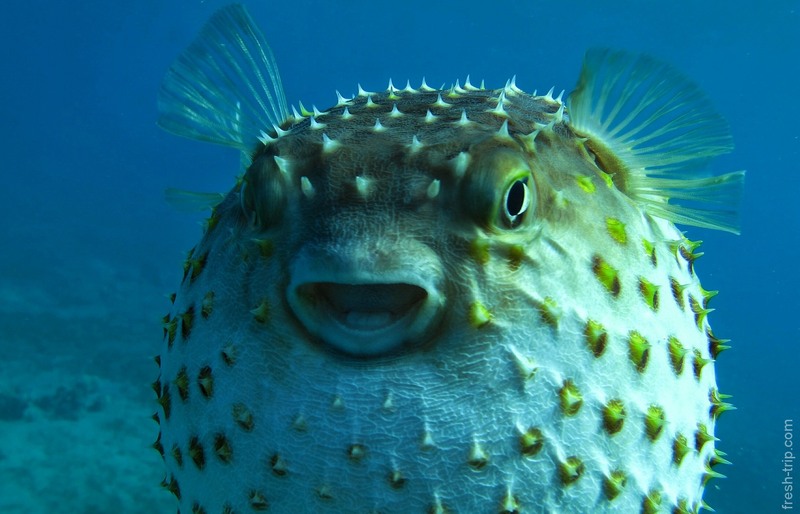 High light, curiously enough, was not even a tank, but a toadfish swelled like a ball, on our tries to disturb, grew bigger. After a good sunbath we went by foot to the second dive right from the diving centre. Gorgon One Site is located right opposite the turn from the highway to the diving centre. A group of well equipped divers with their fins under theirs arm crossing a deserted highway is an interesting thing to see. As you already might have understood, the web-site takes it’s name after the huge gorgonian, which is called here for some reason «Fun Coral». And again here are lot’s of creatures: lionfishes (sometimes quite photogenic), stonefishes, but what attracted us most was a big green turtle, which was so overwhelmed with something turtously delicious, that didn’t even pay attention to the 4 divers around her. Перед дайвингом. Погружение с берега. 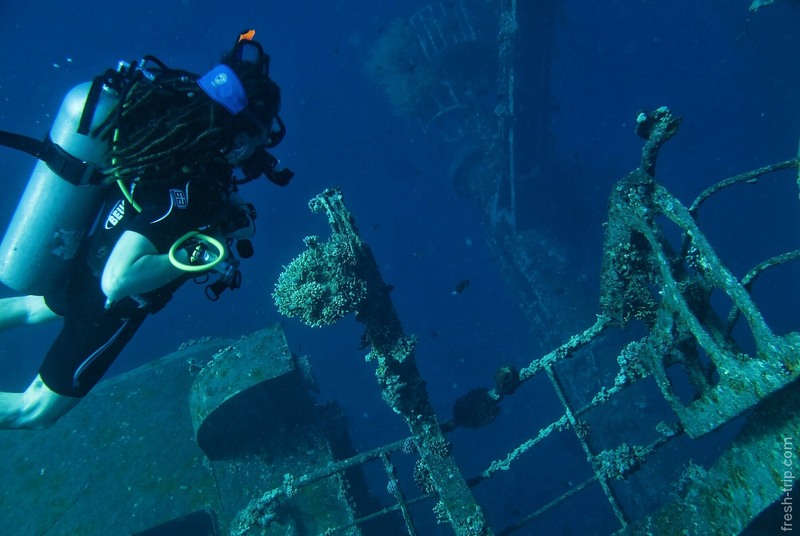 In spite of the lowest price for dives, diving in Darna Daivers left a very good impression. The dive center has it’s own swimming pool with sun loungers, where you can have a sun bath and just relax between the dives, if you want. 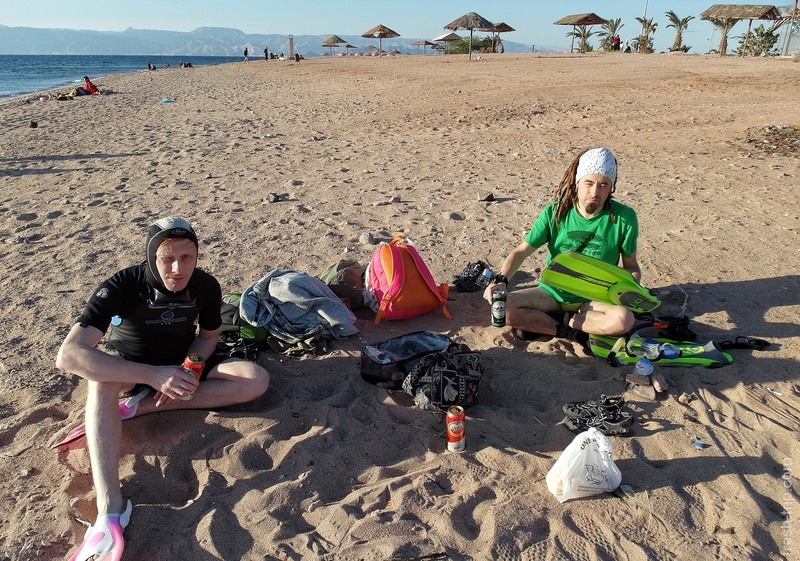 And despite the fact that my own set of equipment wasn’t full, so I was needed to take finns + long wetsuit for the second dive, and it didn’t count in payment, and snorkeling with the rent of costume cost only 10 dinars, and it’s even for 2 days of costume rent. 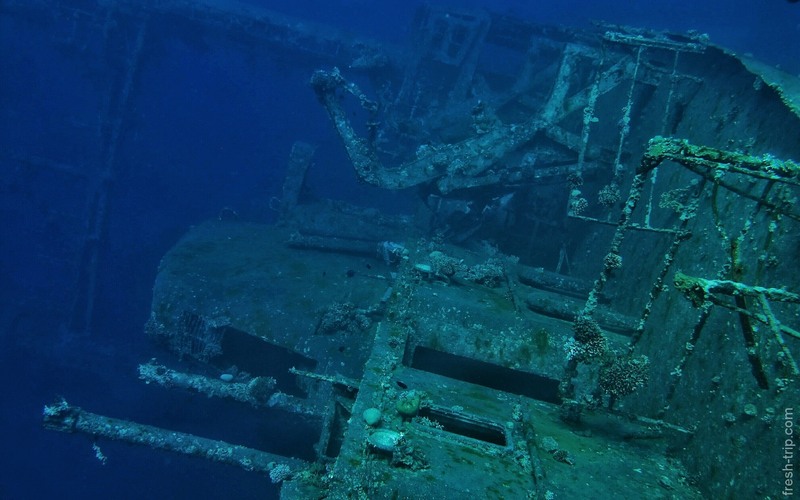 For reference, some offices, that specialize in boat diving, ask 45 dinars just for taking a snorkels on board. 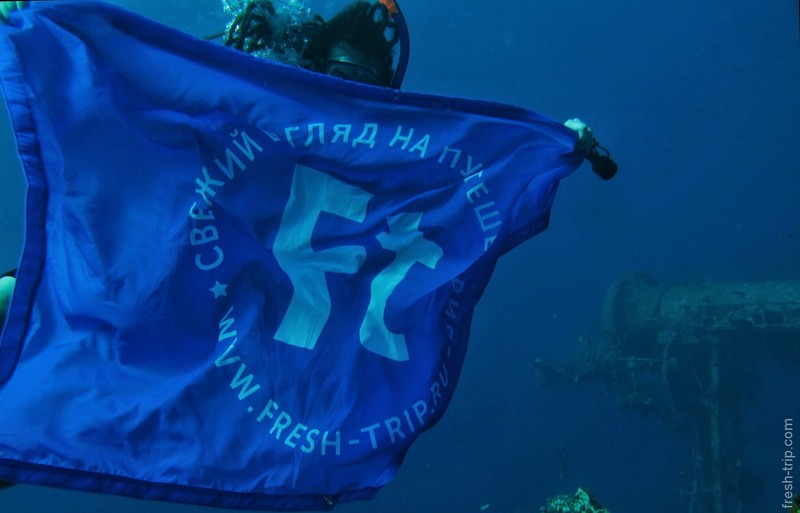 And, even, considering the fact that they offer comfort and hearty dinner on the boat, 4500rur is an extraordinary price for swimming with the mask and snorkeling. Generally, highly recommend you to contact with these guys darnadiver@gmail.com, website: Darna Divers. P.S., when you will be planning your Jordanian diving trip, if you don’t want to overpay of course.